Levy, Citrus and Hernando counties (including Cedar Key, Crystal River and Homosassa): July 1 through Sept. 24. 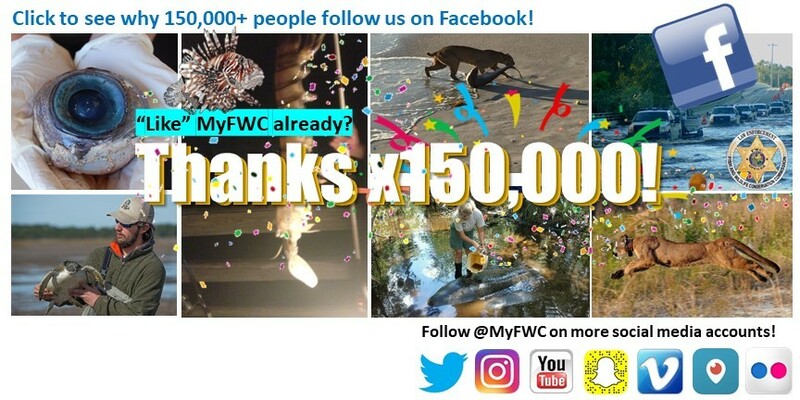 This region includes all state waters south of Alligator Pass Daybeacon #4 near the mouth of the Suwannee River in Levy County to the Hernando – Pasco county line. Pasco County: A trial 10-day open season will occur July 20-29. This region includes all state waters south of the Hernando – Pasco county line and north of the Anclote Key Lighthouse in northern Pinellas County, and includes all waters of the Anclote River. 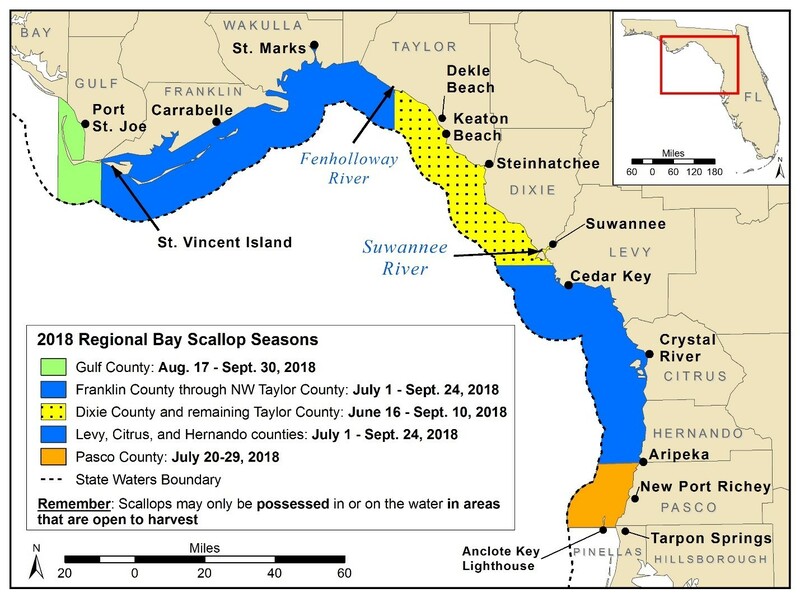 Map of 2018 Regional Bay Scallop Seasons. 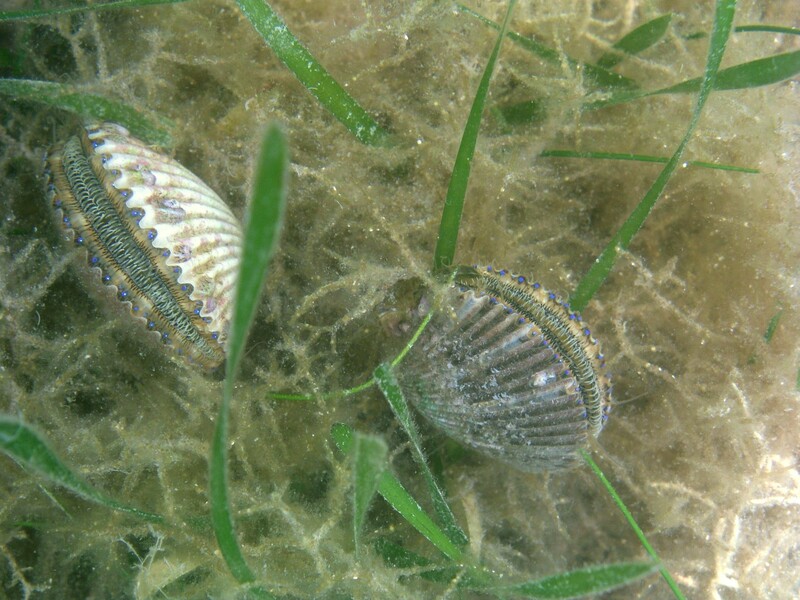 Scallops must be landed within the area that is open to harvest and may not be possessed on waters outside of areas that are open to harvest or during the closed season.